There will be four modules: (1) Listening for the Word in Scripture; (2) Understanding the Word in Context; (3) Learning from Wisdom; (4) Learning from Jesus. Professor Ward will also teach a course in reading the Greek New Testament. This does not require any previous knowledge of Greek. It will be held each morning before breakfast! In this module we will be exploring fundamental questions relating to the role and place of the Bible in the church: what do we mean by the Word of God? What is revelation ? How do we discern God’s communication with us? What relationship does this discernment have with interpretation, the tradition and the development of Christian doctrine? There are two fundamental questions we ask in interpreting the Bible. What did the text mean in the context of in which it was written? The art of finding out is called exegesis. What does the text mean for us today in our context? The art of working that out is called hermeneutics. We will examine what it means to do both and using a selection of texts we will explore how exegesis and hermeneutics work and how they relate to each other. Biblical wisdom literature opens up a space where a plurality of voices finds a home. The clear cut answers of Proverbs to the stubborn questions of Job and the struggles of the teacher of Ecclesiastes. These voices are linked to Woman Wisdom, who is in her turn linked to the creation and God. In the New Testament Jesus is introduced as wisdom and James perpetuates this tradition.. In our day and age we long for wise leaders, less platitudes and less cosmetic answers. Maybe we need the sages and their art to help us in our daily discernment – to live life to the full amidst paradox. In our instant solution-oriented world, we want fast answers to the questions that confront us. But how comfortable are we to open our minds and hearts to receive new learning possibilities from Jesus? In the gospels Jesus asked many more questions than he answered, Through them he modelled the struggle and thinking it through helps us understand ourselves and our relationships to each other and God. We may describe Jesus as the Ultimate Life and Leadership Coach. So In this module, we become curious about Jesus, about the questions he asked, about his earliest learners (“disciples”), and about ourselves. And we open ourselves to the possibilities he ignites for more transformed and empowered living. Graham Ward is Regius Professor of Divinity at Oxford University and an Extraordinary Professor in the Theological Faculty at Stellenbosch University. He is an Anglican priest and canon of Christ Church Cathedral. The author of many books and essays, Graham is a regular visitor to South Africa and Volmoed. 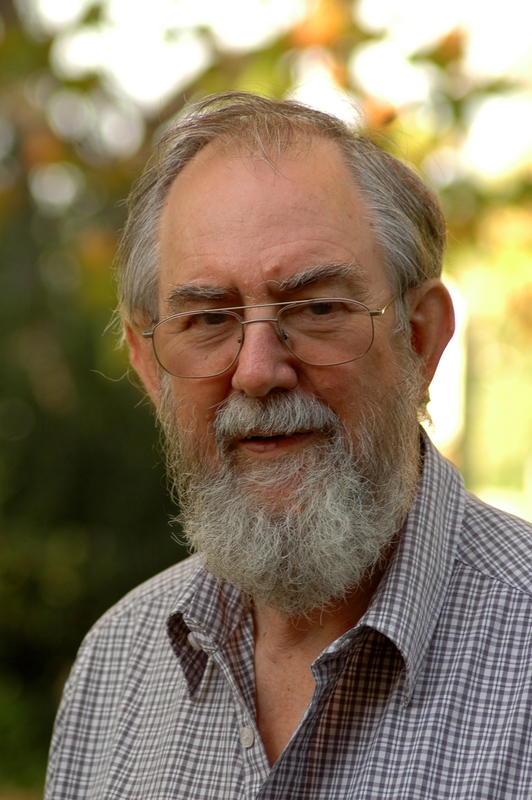 John de Gruchy is emeritus Professor of Christian Studies at UCT and an Extraordinary Professor in the Theological Faculty at Stellenbosch University. He is an ordained minister n the United Congregational Church and author of books who lives at Volmoed. Lisel Joubert has a DTh in Old Testament, with a MA and Honours background in Ancient Near Eastern Studies. Presently she is a research associate in the Department of Systematic Theology and Ecclesiology at the University of Stellenbosch, where she teaches Early Church History. She is a minister at the Dutch Reformed Church in Gansbaai. Roger Arendse is a certified Integral Coach through the Centre for Coaching (Graduate School of Business, University of Cape Town) and New Ventures West (USA). He is the Director of Eagle Coaching which serves executives, managers, leaders, educators, social entrepreneurs and spiritual seekers. He also remains a curious student of the Bible and Theology, with a special focus in the NT (Jesus and Pauline studies). He has an MTh from Western Theological Seminary, Michigan, USA, studied at UCT and was a lecturer in Biblical Studies at UWC from 1992-1997. The course will be limited to twenty participants. Those wishing to participate should register before October 31st 2016 through the Volmoed Office: admin@volmoed.co.za, or phone 028 3121282. Arrival between 10H00 and 10H30 am on the Monday. Tea from 10H30 to 11H00. Sessions One at 11.00 am. Departure on Friday 9th. Vacate rooms by 9.30. Luggage may be stored at the office. Tea at 10.30 a.m. Last session 11-12 noon.